Please scroll down for further information on each workshop. 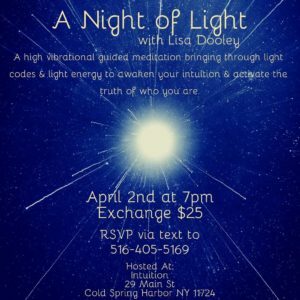 Join Lisa Dooley for a Night of Light on the first Tuesday of every month at Intuition. 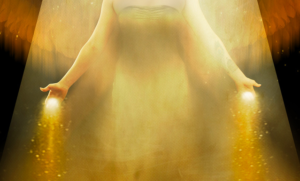 Lisa will bring through light energy and light codes to elevate your vibration and expand your consciousness. This meditation is designed to awaken your light, inspire your intuition and activate the truth of who you are. May we all remember that we are LIGHT. Space is limited; reserve your spot. 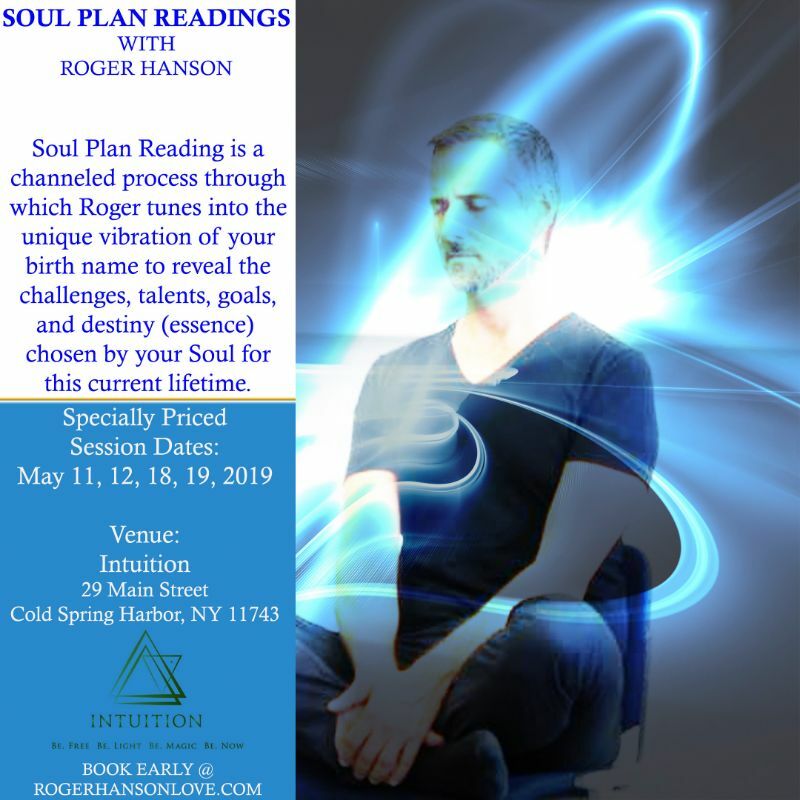 Connect with the Ascended Masters to receive vibrational Attunements that will Raise your Vibration, Elevate your Consciousness and facilitate Alignment with your Divine Self. The Ascension process is already underway on planet Earth. It is an evolutionary process that involves the Expansion of Human Consciousness and the Awakening of Human Potential. Each of us is truly an Ascended Master in training! We’re having a shift on our planet like never before… are you hearing about it? Do you feel it? Maybe you suddenly felt this overwhelming desire to know your life’s purpose or have a deeper understanding of yourself like never before? Maybe you’re noticing repeating numbers 111, 222, 333 etc or seeing 1111, 2222, 144 and would like to understand the significance? Are you having more intuitive moments in your day to day experience or dreams that feel different, more real than dreams you had a year ago? 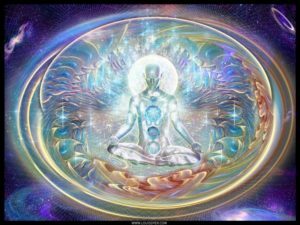 Are you hearing words like “Ascension”, “Collective Consciousness”, “Higher Self” and would like to have a better understanding of what they mean? Have you been experiencing headaches, neck/shoulder pain, unexplained itching/rashes, sudden onset of fatigue then feeling like you could run a marathon and have never experienced these things in the past? If this resonates with you in any way this class is for you. In this class, we’ll be exploring these things and more as we discuss what’s taking place in our world relating to shifts in our solar system as well as changes in our bodies. 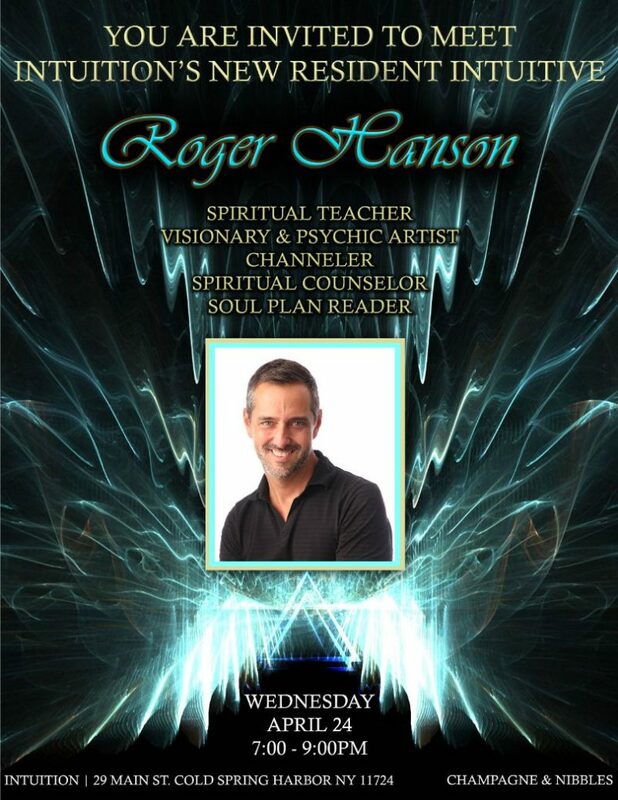 This class will be interactive where you can ask questions as we go. 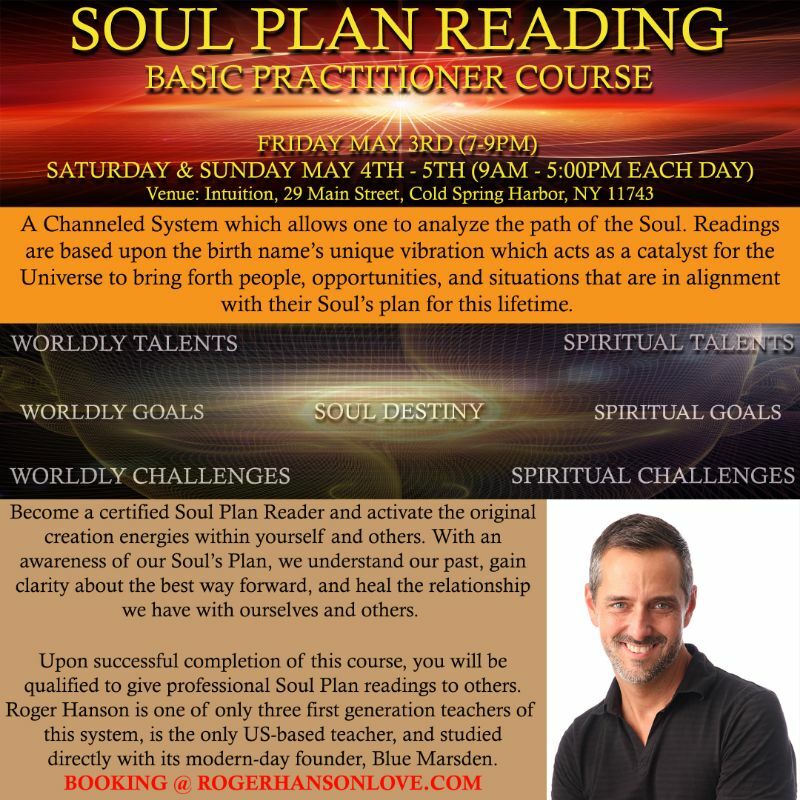 You’ll also receive some of the tools I use to assist you in your evolutionary journey. Come join me for an informative evening of sharing. 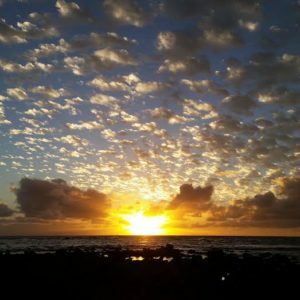 These spiritual development gatherings are offered to present a platform for a community to grow in our individual and collective exploration of who we are and our connectiveness to the Divine. It has been my passion to awaken and nourish the Holiness in Beings and to assist others to stand in their power. These gatherings will offer tools to live our daily lives in the Divine stream of EASE and GRACE, by unfolding our wonderment and magnificence. We will participate in meditations, discussions, book readings, and teachings, in a safe and joyful environment. As truth seekers, we will be using the book The Messiah Seed (volume 1) by Story Waters. This book will help us navigate and find the truth we are seeking, that is purely our own, and to live our hearts’ dream. For our March gathering, let’s start with the first 5 Messiah Seeds. If you are seeking a shift in your energy to live differently – with EASE and GRACE – join us! All are welcomed. Be You. Be Free. 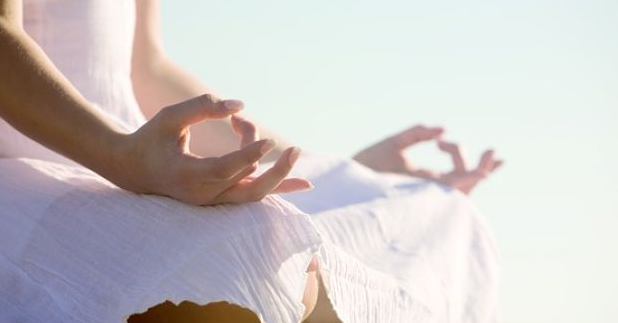 Kundalini yoga classes are a dynamic blend of postures, breath work, meditation, sound and mantra, which teaches the art of relaxation, self-healing and elevation. Balancing body and mind enables us to experience the clarity and vastness of the soul. No previous experience in yoga is required. After the close of each class you will experience a vibrational shift through the portal of Light Language, we awaken the energies of liberation within us. The Language of Light is a multidimensional form of telepathic communication that is innate within All Beings. Light language allows for pure communication directly with Source Consciousness without the static of the conditioned human mind. It facilitates the re-awakening of the Divine encoding of your soul’s blueprint. ***This event is limited to 9 participants. Each participant will leave with a copy of the transcribed channel explored. Allow yourself to experience the essence of your being Anew. Each Gathering will offer the perspective of unfolding your journey through a new lens, an offering of a perspective Anew. Dana will lead you through a transcribed channel that will provide the platform for Infinite exploration to be felt within your own being. She will allow the codes of Light to be expressed through a channeled space that will illuminate a cosmic, inner journey. 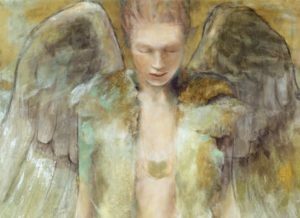 Angela Kirsner will serve as a vessel to speak the word of the Divine, as she feels into each individuals’ signature vibration. Thomas Chambers will serve as a conduit for individual Energetic Cellular Activations. You see Beloved, it is your time to be born again anew. Revel in the glory and grandeur of the dream that is YOU.